Discussion in 'General Modeling' started by SteveNeill, Oct 20, 2011. 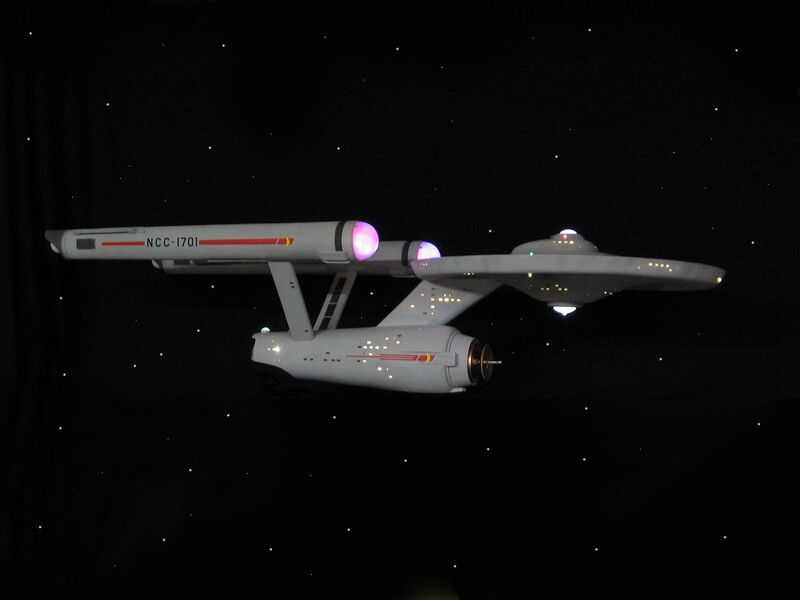 For a year now I have been scratch building this larger 66 inch Enterprise. Half of that time was spent making models for people and designing and producing a new kit. But now that the model is done I have always had a bigger plan for it's use than sitting in my office. It's a real studio model so why not use it as one? For over 30 years I worked for the studios doing everything from Spock's ears to Ghost Busters creatures and more. But my first love was always space travel and Star Trek. So I have been planning a short film all along. 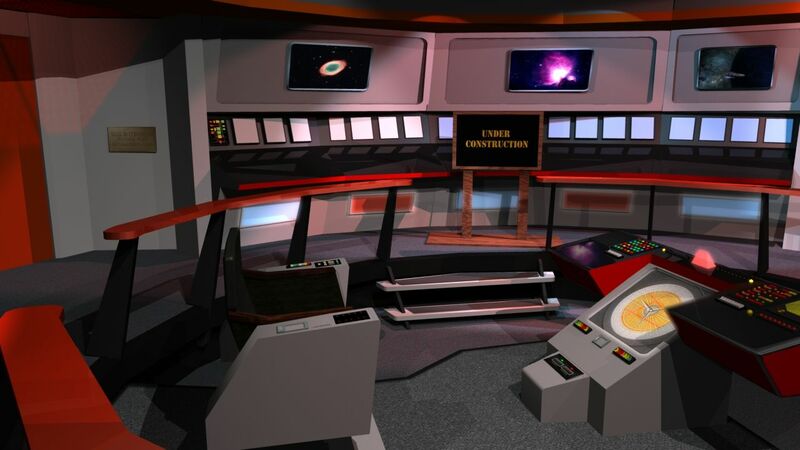 I have been working on a CGI TOS Bridge. I planned to place myself on the bridge and interact with the real characters as though as was the in the Captain's chair. One small problem was I can't sit too well in a CGI chair. So I'm now starting on a replica chair. And the model will be shot against green screen and composite with CGI backgrounds I'm building in Lightwave. Paul Gentry is donating his time and pro cameras and lights to the shoot. Thanks Paul! Combined I'll be able to take the big model into space which is what she was built for and I get to have a teenage fantasy come true for me in the process. Not that working on TMP wasn't all that. It was fantastic but to be on this ship is the very best. In this thread as in previous threads on this great forum I will take you through the steps of producing such a show and all that goes into it. And all on video in my usual style. I hope you all enjoy the ride I know I will. It should be a lot of fun. Script is being written and I have to find some more people to contribute their time to some story boards an other cores of the production. 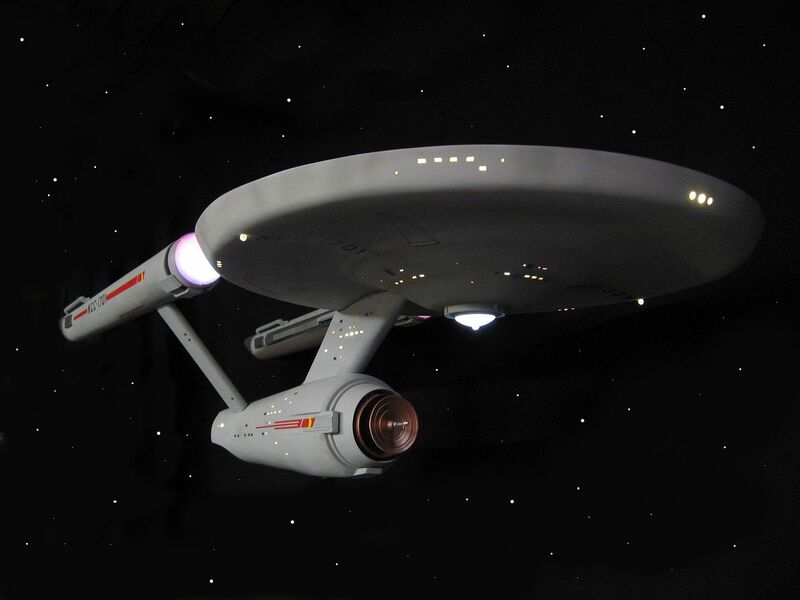 Building the Enterprise alone just about killed me. It took 4 days of rest just to recharge my batteries if you take my meaning. Today I'll be heading out to get the plans printed and pick up some plywood to start the chair. And do a little work on the Bridge set. Lucky for me Doug Drexler is once again helping with this. Here's a few more pictures to kick this first post off. This won't take a year this time. DB537, Jedifyfe, Bootlegger137 and 1 other person like this. my favorite ship of all time - beautiful work! good luck with all your plans. I am ready for this ride Steve! My seat belt is fastened...Make it so! Yea, I'm looking forward to this! Best of luck, Mister Neil! A lesser man would rest on his accomplishments after constructing such a beautiful starship. I wish you smooth sailing! Thanks guys. I can't stop. It's keeping me alive! Steve, absolutely fantastic work!!! Looking at those videos is not helping me finish my current job at 1.30 am, but hey, if I have to take a break (no, not procrastinating here...) it´s gotta be worth it, and those videos, * inspiring!!! Thanks guys. Well Will or Feek61 as we know him is helping me with the screen graphics. He's been making screen accurate animated gifs of them for some time as it turns out. Lucky for me this will really speed things up. I did a test tonight of one panel and converted the Gif to a targa frame sequence and added it to the engineering screen surface. Worked like a charm. Tomorrow I'm getting the wood to start on the chair and do more work on the bridge set. Video soon. Now subscribed to this one! I can think of no better man to be in the Chair! I will be watching this with interest as well...this is another great project. I am always glad to see a master artist at work. It is really cool that Doug has time to give to this as well....should be a fascinating time for all of us. Glad to see her finally done. Looking forward to seeing you film competed. 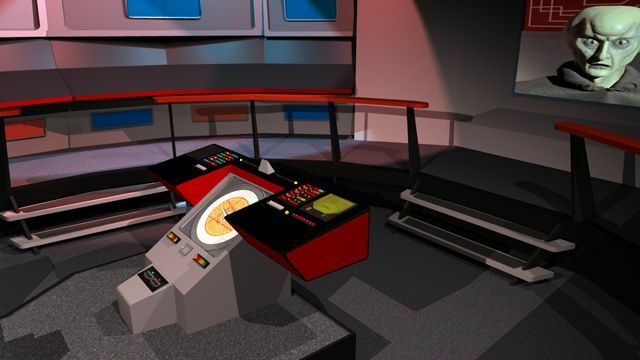 Will the chair be half studio scale also?, Lol just joking , Man that would be the ultimate to watch Star Trek videos sitting in the Captains chair and have all the sound effects like if the mother in law showed up you would go to red alert and have the lights flashing and sound Lol. Thanks guys I should have the first video up tomorrow. I'm looking forward to sawing and drill with wood. I'm off to pick up a pile of lumber and gray paint tomorrow and start assembling this chair. 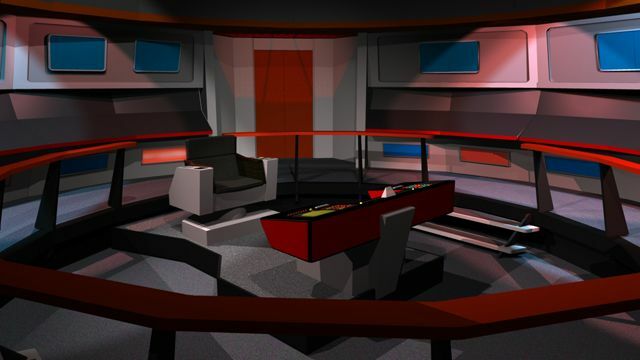 Will is on the bridge graphics so Monday I should have more done on the CGI bridge.